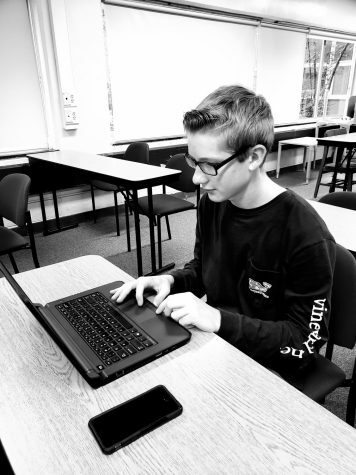 Griffin Crafa is a member of the Class 2021, and an active contributor for the Port Press, which he thoroughly enjoys doing. Griffin is also a part of the Northport Tiger Marching Band, and he aspires to achieve a leadership position there in the future. Griffin currently holds officer positions in Italian Club and the National Junior Honor Society, co-treasurer and co-president, respectively. Additionally, Griffin belongs to Mathletes and Interact Club. He regularly volunteers at the Northport-East Northport Public Library, and recently began volunteering at Respite, a program that works with children with special needs. Griffin lives with his two parents, younger brother, dog, bird, and fish. He loves watching movies either at home or at theater and likes to hang out with his friends.